This Fall I am thankful for our puppy who joined our family 10 months ago. Her gentle and playful spirit brings so much joy to our hearts. This is her first Autumn and being a pup her zoomies through the fallen leaves is certainly a sight to see. She has a fascination with all the critters in our backyard- bunnies, squirrels and racoons. I thought it would be cute idea to capture her on a page surrounded by all her critter 'friends'. 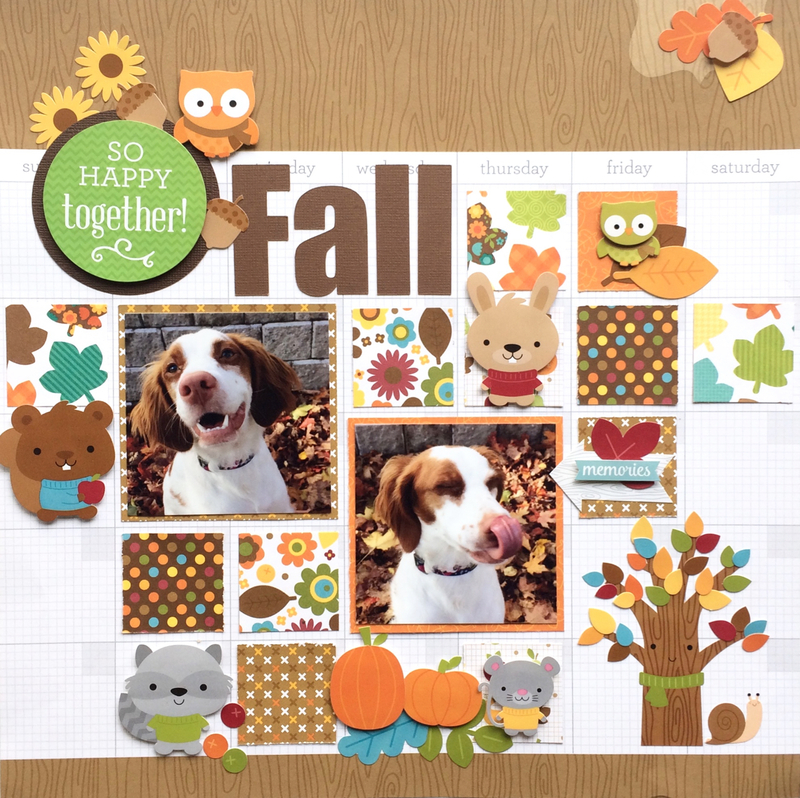 I used a Daily Doodle as my page base and created a random mosaic of Fall papers and cardstock critter stickers. 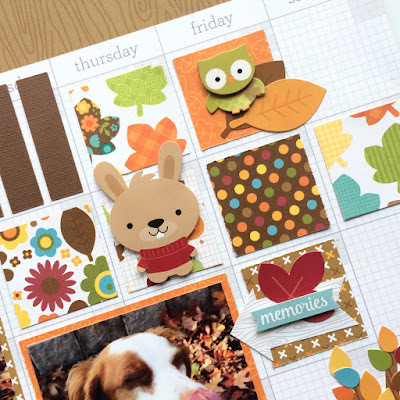 The pattern paper squares measure 1.5 x 1.5 inches and the square fits perfectly into the daily grid. Matting a 3x3 photo on a 3.25x3.25 photo mat fits perfectly within a 4 square grid. This is absolutely adorable!!! And so is your pup! Cute design — love the use of calendar paper!! 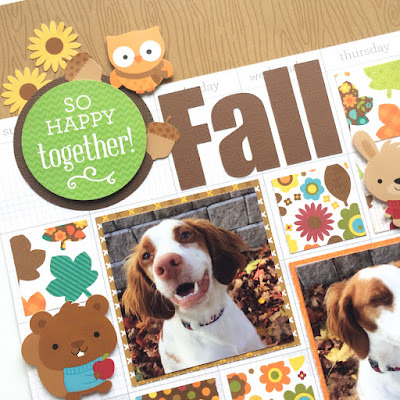 What a darling layout! Loving the grid design!